When it comes to cityscapes, few have a better eye for it than Benjamin Stack, who illustrates extremely finely dense urban layouts with just the tip of a pen. Sack creates intricate fictional worlds that merge modern day city architectures like skyscrapers, streets and bridges with contemporary art and other abstract geometrical shapes. 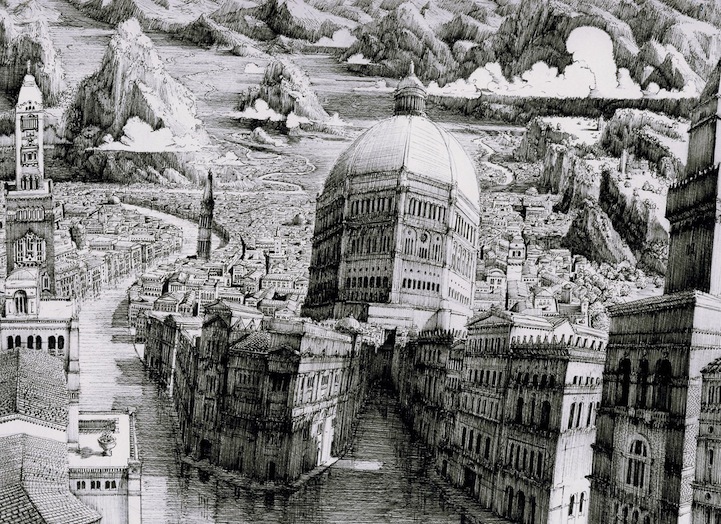 Some of these drawings appear from birds eye view, and others street level, but regardless of the vantage point, it’s pretty easy to get lost in the enormous amount of details and vast horizons.